Minecraft Banners (Flags) were added in Minecraft 1.8 (snapshot 14w30a). They're highly customizable flags that players can craft using a combination of coloured dyes, sticks, mob heads and a variety of other blocks. 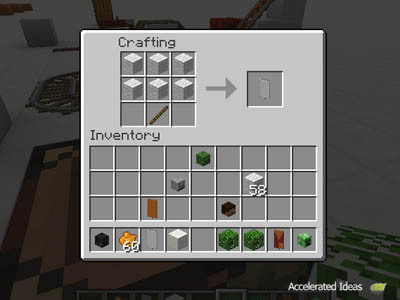 Once the default banner has been crafted, players can re-add the banner to the crafting grid and apply additional customizations. These include adding colours via dyes, patterns via mob heads and flowers. 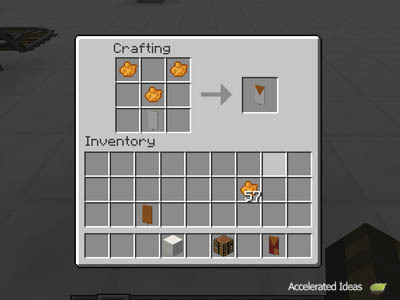 The particular pattern is determined by the type of item you add to the crafting grid and the particular position/order the ingredients are placed in the grid. You can re-add the banner to the crafting grid and apply as many additional customizations as you like. As already stated by Jeb, there are many, many possibilities to banners, most of those combinations are determined by colours, of which there are many coloured dyes. There is no graphical drawing tool for creating banners, only placeable patterns. Once you have a blank banner, you can apply any number of customizations. Triangle shapes can be added by placing 3 dye in a triangle formation, along with the original banner. The position of the triangle can be inverted to place the triangle in the opposite edge of the flag. Placing a single dye will create a corner square on the banner. Place the banner in the middle of the crafting grid and surround with 4 dyes. 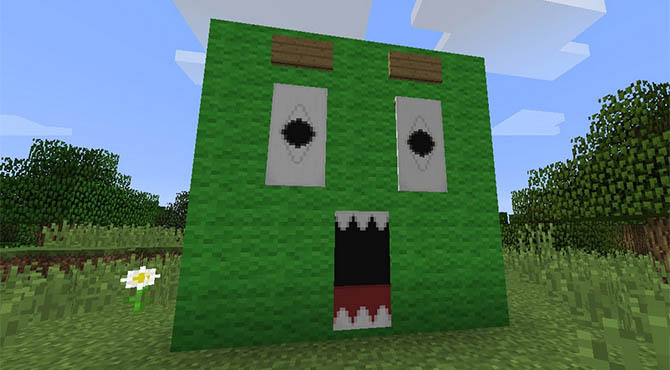 The Creeper face can be added to the flag by placing a Creeper head in the crafting grid along with the banner. You can also colour the Creeper by placing another dye in the crafting grid at the same time. Other mob heads can also be added to the banner including the Wither and Skeleton. Adding a brick block will completely cover the banner in a tiled pattern, which can also be coloured by adding an additional coloured dye to the recipe. Simple really, add any flower to the grid together with a dye and the banner. Other variations including placing the dyes in straight lines or diagonal lines. 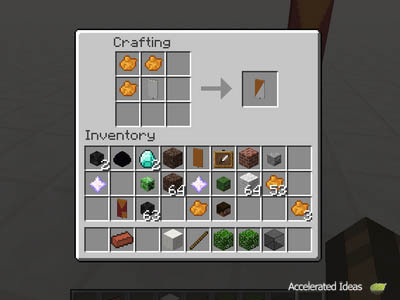 The famous pirate flag can be create by first crafting the X (first image above). Then re-adding the banner to the crafting grid together with a Wither skull. Finish the design off with a coloured dye if you wish! 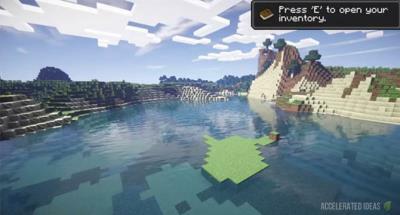 Download new mods, texture packs and adventure maps..